Marketers face a formidable challenge in trying to reach a broad audience across market segments and geographies in the shortest time. For CPG plans, this can be particularly complex. Where video was formerly used to tell stories and create brand awareness, there is a need to distil it to product awareness, acquire customers and drive sales. 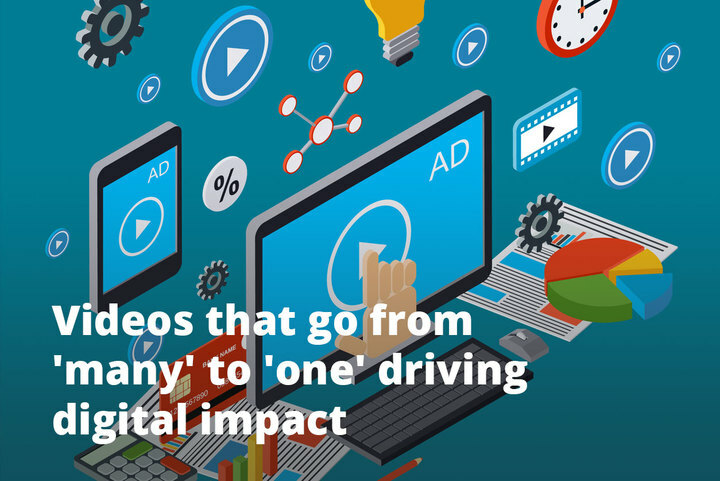 A video will drive purposeful intentionality and originality, and similarly, tackle these priority goals of a conversion funnel. The potential and promise of video lie in its interactivity. This interactivity requires the user to participate by making decisions and taking actions. With a well crafted interactive video, you can enjoy more substantial viewing times, greater brand and product awareness and higher rates of engagement. The more thoughtful and relevant video also leads to generating more insights into your user’s profile and an ability to optimise content effectively for the right viewership. Fit your brand’s narrative with your viewers’ personal brand and you’ll have a meaningful relationship that’s built to last. With a bird’s eye view of audience understanding, conversion, engagement and awareness, you’re set up to succeed at adding a human touch to a rich digital experience. Know what you stand for, who you are and what sticks and ticks with the person you are trying to speak to. By thinking interactive, you’ll have a combination that blends personalised touchpoints, collaborative formats and relevant stories. Keen to learn more the human touch for digital engagement and sight and sound that stir brand loyalty? Download this free e-book which will walk you through tactics for making sure your videos are interactive and personalised drawing you closer to your viewer. Get your brand from ‘many’ to ‘one’ and moving to stay true to itself.